Located in the lovely area of Khao Yai National Park, The Bonanza Resort Khao Yai enjoys a commanding position in the romance, family fun, sightseeing hub of Khao Yai. From here, guests can enjoy easy access to all that the lively city has to offer. No less exceptional is the hotel’s easy access to the city’s myriad attractions and landmarks, such as Bonanza Exotic Zoo, Bonanza Adventure Park, Khao Yai Panorama Farm. At The Bonanza Resort Khao Yai, every effort is made to make guests feel comfortable. To do so, the hotel provides the best in services and amenities. The hotel provides free Wi-Fi in all rooms, Wi-Fi in public areas, car park, room service, airport transfer to ensure our guests the greatest comfort. The hotel features 158 beautifully appointed guest rooms, many of which include internet access – wireless (complimentary), non smoking rooms, air conditioning, desk, mini bar. The hotel’s golf course (on site), spa, massage, garden, water sports (non-motorized) are ideal places to relax and unwind after a busy day. The Bonanza Resort Khao Yai is an ideal place of stay for travelers seeking charm, comfort and convenience in Khao Yai. 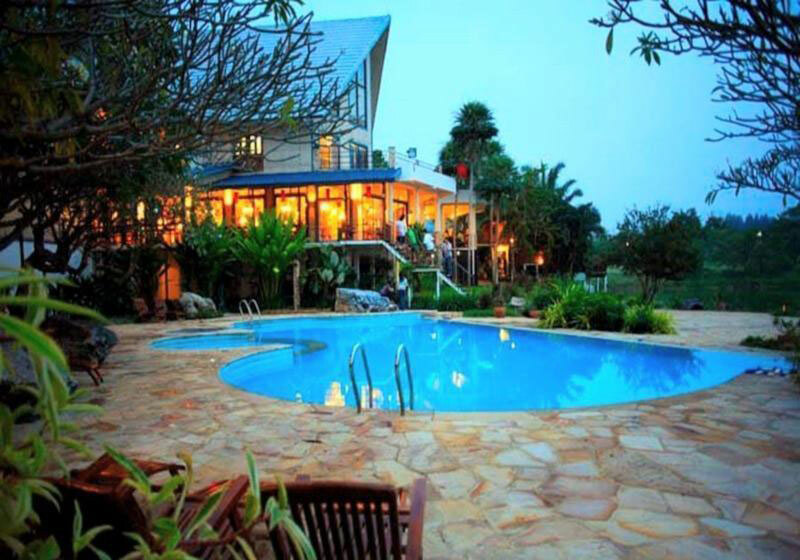 Short Description: Located in the lovely area of Khao Yai National Park, The Bonanza Resort Khao Yai enjoys a commanding position in the romance, family fun, sightseeing hub of Khao Yai. From here, guests can enjoy easy access to all that the lively city has to offer.